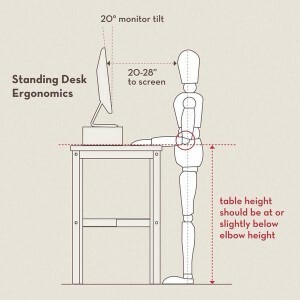 In order to determine which StandStand you should buy, just measure the height of your hands above a table when you stand in typing position and pick the height that is closest. Another method is to stack some books up to the proper height (with your laptop on top for feeling out what height you like)… And then measure the stack of books! 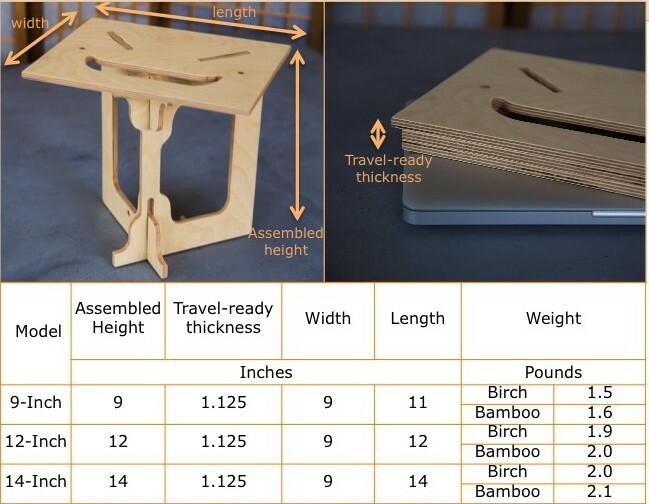 From there, you’ve got a great estimate for which StandStand you should get. If you don’t feel like measuring, and you just want to get on with your day, you can follow our below height suggestions, which have been pretty helpful for most people. 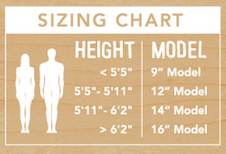 But, be forewarned that measuring is the best option! Last, but not least, you may be interested in checking out StandStand’s full product specifications to understand just how amazingly light, compact, and portable it can be! Here’s the full look at what you’re getting yourself into! If you have any questions about how to choose the best StandStand height, feel free to reach out on Facebook or Twitter, where we’re always around to help you out! How about a taller version that raises the laptop to eye level and that accommodates a Bluetooth keyboard at typing height? When the existing StandStand raises a laptop’s keyboard to the right height, it leaves the screen at a pain-in-the-neck low level. It would be great if there were a lightweight, portable solution like StandStand that could both raise a laptop+screen to the proper eye level and also support a Bluetooth keyboard at proper typing height. Thanks, Mark! Something like that would be great, and I’ll see if we can come up with a solution. In the meantime, studies say it’s best to alternate between sitting and standing, and StandStand helps with both. I like to type on the laptop keyboard when standing with StandStand, and when I sit, StandStand allows for perfect ergonomics by keep the laptop at eye level while I use a detached keyboard on my lap. I agree w/Mark, that would be a great option. Meanwhile, I am planning to buy 2 for my standard office work desk. I might try a 12″ and a 14″, which would allow me to put my external monitor, which is adjustable, on the higher stand. Can’t wait to try it! Thanks, Kit! Let us know how it goes! Thanks, Sophie! 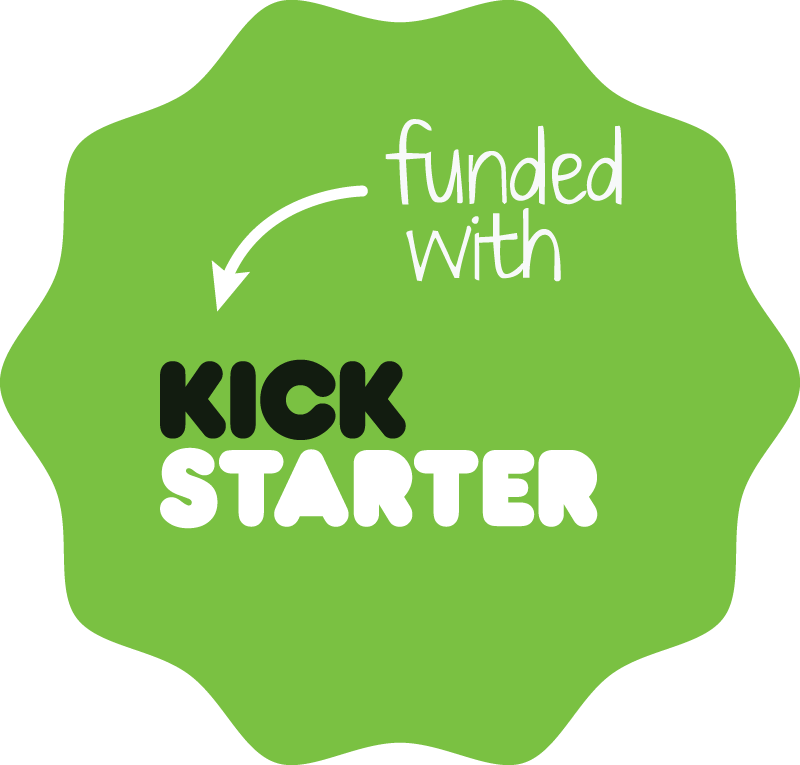 I hope StandStand 1.0 will be perfect for your portable standing desk around town, and I appreciate the challenge you’ve set to design additional features of a StandStand 2.0! Thanks so much for the comment, Andrea! I currently use two StandStands in my office and find that a better solution than other standing desk options. But we are thinking about how to make something, tentatively called “StandStand Desktop,” which would be big enough to accommodate a couple monitors, keyboard, and mouse while maintaining the StandStand look and design. Check back in a few months! I appreciate the request for an option that raises the screen to a more ergonomic height, but if you have a standard laptop with a keyboard that is not detachable, the keyboard is they way too high to be ergonomically correct. In the correct position, your eyes should be essentially directed straight ahead, with your arms dropping straight down from your shoulder (not reaching forward) and your elbows bent at 90 degrees. Due to limited space, I am looking for a stand that I can put on top of my existing desk and place my laptop on top of that so the laptop is lifted up of the desk and I can stand and work; I dont want a full desk. Is that what this stand will do, I am not clear based on my reading of the product if it is a full desk or just a stand that sits on top of your existing desk. Thanks for your question! Our StandStand are just what you are looking for: something that goes on top of a table or desk to turn it into a standing desk. For our stands, you can choose between 9″, 12″, 14″, and 16″, and you pick the one that brings your keyboard up to a comfortable typing level. Thanks again!